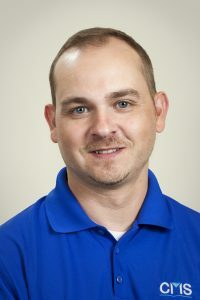 GAINESVILLE, Ga. – CMS, a food systems equipment manufacturer and logistics, solutions and millwright services company, has promoted Ben Buice to Engineering Manager. In his position, Buice will oversee the engineers and mechanical designers and be responsible for all aspects of engineering for CMS. He previously served as a Senior Sales Engineer. Prior to joining CMS, Buice worked for a poultry equipment company as a project engineer and was a mechanical designer for a manufacturer of industrial process heating systems. Buice graduated from Chattahoochee Tech in 2012 with a degree in Mechanical Design. Based in Gainesville, Georgia, CMS is a food systems equipment manufacturer and logistics, solutions and millwright services company in the food industry. Services include: conveying systems, consulting, project management, equipment demolition and installation, material handling, logistics and reconfigurations for heavy and light industrial projects. For more information, please contact CMS at 678-971-6715 or 833-872-4178 (toll free) or visit www.cmsfoodlogistics.com.